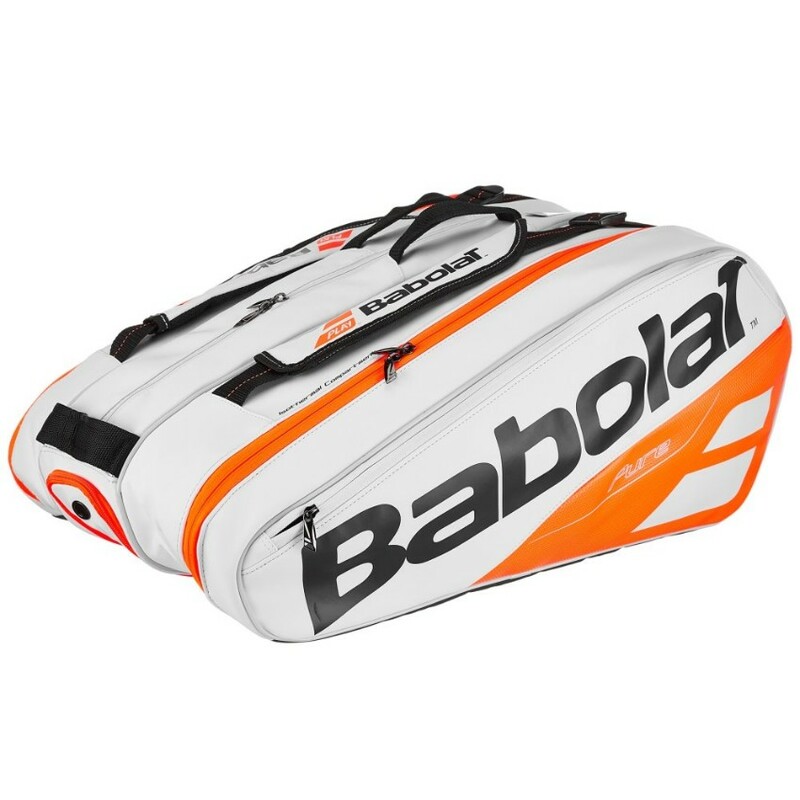 Babolat Pure Line RH12 Bag White/Red - Tennis Town | 網球購物城 - Tennis Racquets, Equipment, Strings, Shoes & Bag. With space for up to 12 rackets, this bag is ideal for players looking for all the best features: 3 compartments, 2 of which are insulated to maintain string tension. New bigger openings for better access. A pocket with a hard shell to protect fragile accessories. Backpack straps offer ease of carry.